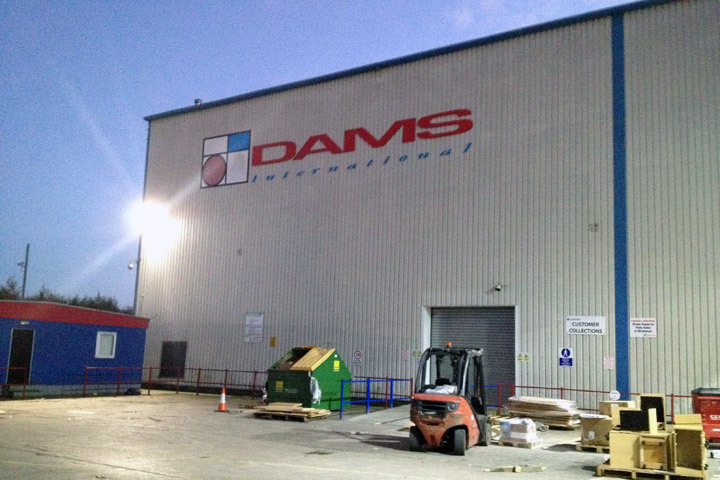 DAMS operates a 75,000 sq ft manufacturing, warehousing and distribution site in Kirkby, Merseyside. The facility utilises state of the art CNC wood working machines, assembly and packing lines as well as a bespoke upholstery department. The site operates 24 hours a day, so the solution had to significantly improve the lighting levels for both the day and night shift workers. DAMS commissioned LED design and installation experts to design a bespoke system that would enhance the light output, eliminate maintenance requirements and reduce energy spend. 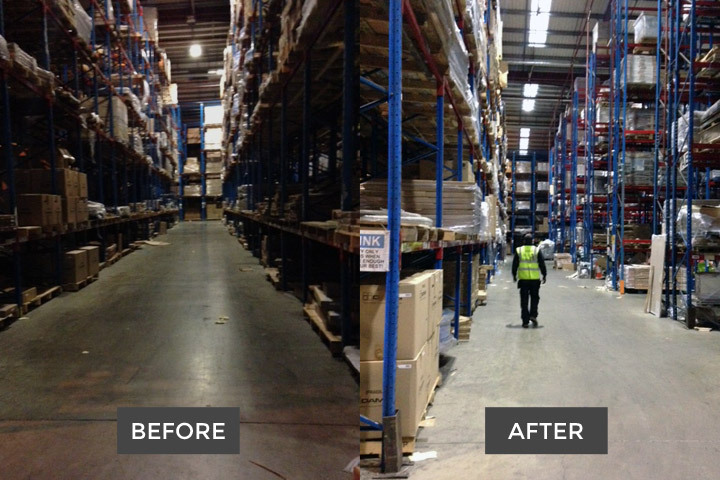 In the warehouse around 100 x 150w high-bay LED lights were supplied to be installed at a height of 14 metres. Within the canopy loading area, 12 x 65w vapour-proof units were provided and further floodlights were provided to light the car park, HGV bays and approaching walkways (linked to timer and daylight sensing photocell circuits). Dams International now enjoys lighting levels within the premises which are four times greater than the original lux level measurements, whilst benefiting financially from reduced energy costs which are approx. 70% lower than before. There is an added benefit of reduced maintenance costs which proved to be costly with the previous fittings due to access equipment hire for lamp changes. Overall, the project is on track to pay for itself in energy and maintenance cost savings within a two year period.